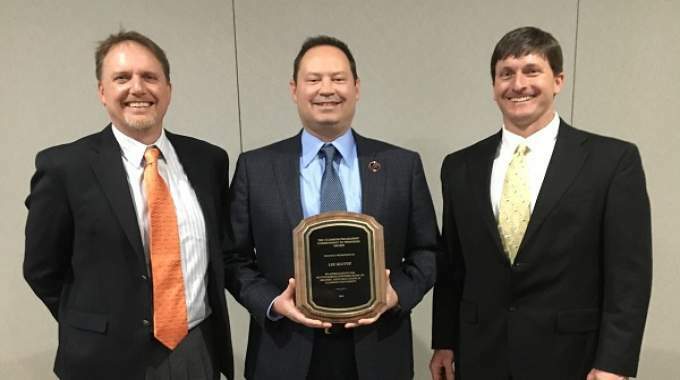 Harper Corporation of America President Lee Kluttz has received the Clemson/Treadaway Commitment to Progress Award during Clemson’s 27th annual department of graphic communications honor and awards banquet on March 28. This award is presented to an industry professional who has consistently gone above and beyond to support the faculty and students in Clemson’s graphic communications program over a prolonged period of time. Kluttz has done just that and was chosen by the faculty to receive this award, which was previously known as the Clemson Graphic Arts Society Award (CGAS). It was later renamed the Clemson/Treadaway Commitment to Progress Award in honor of Bill Treadaway, the first recipient of the award.